​The day before tomorrow is a magical event. That is now. Melbourne, Australia. Awake to a setting moon, drive 5 hours to get dawn photographs of a rural property in NSW. 10,000 hours they say is what it takes to become a master … of anything! We are simple and uncomplicated beings when 'keep on keeping on' is in play. As always, the choices made with our hours lived alive are systematically segmented into “preferences” that living our lives ask of us. Do other species have this learning capacity l wonder … or is their experience a moment to moment reflex? A photograph taken by a professional photographer is not only about the hour or week they spend documenting the current commission. It is about (as it is with many others) the ability to function technically, communicate and interpret a brief with 10,000 hours or more of creative project managing. Photographs are not always mere twists of fate. Reflex plays a role. Muscle memory. Creativity includes many hours of living, contemplating, communicating, seeing, travelling, photographing, designing, editing, processing, sleeping and exercise. = 175200 hours (20 years) of living and segmenting time as a creative. Time is relative to the attention given to any particular subject. This photograph and many more were taken over several days and visits to Tianjin, China - the development was extensive and over multiple areas of Tianjin. This area is snuggled in an area that is moving ahead. The architects who designed this and many projects in China are from Australia. Guida Moseley, Brown (GMB Canberra). The client was a Hong Kong based developer. The managing director is from Chengdu, China. His team from the local institute of architects are from Beijing and Tianjin who documented the GMB design. Many developers in China are regional as well as local players - investing in open green field urbanisation programs - not seen in the West on this scale. Who chooses when to photograph what - and why is it so? The premise of this title is to ascertain why there is a requirement to document. History has a rather emotional attachment - to what has gone before us in time - especially in relation to cities, architecture and art, anthropology, cultural landscapes and experiences of a time gone by. Professional photography is commissioned and artistic, driven on the whole by an outcome. There is performance photography in the arts and sport, commercial and advertising. Within each of these sub sections are more specialisations where photographers adapt and explore their surroundings, experience emotive expansions/contractions while 'creativing' and engaging with social networks. A time line of images and imagery. For a creative business to remain a viable proposition, the photographer (in this case) must generate an income. I have seen in my travels many slogans as to what is and isn’t - one that comes to mind is about outcomes. “Ideas drive us, creativity inspires us, outcomes are what feeds us”. Focussing on the outcome is one way of achieving its end - but the journey throughout the duration of the idea is where the creativity happens. The same is true for a photographic assignment or project. Outcome achieved and then the next idea begins. Creating from a three dimensional World to a two dimensional object is the nature of the photograph. So - why photograph? We all love to see, feel, experience, grow, learn, collect ideas and accumulate a portfolio of images which document our own journey through life. This will be very different from person to person as our observations and World changes constantly and all vary from one person to the next. This image “The World at Play” shows a couple happily engaging on a tropical beach at dusk. Successfully commissioned image? Who decides? What is a successfully delivered creative project? The recently posted photograph in my feed and the image in this article was part of a larger commission. 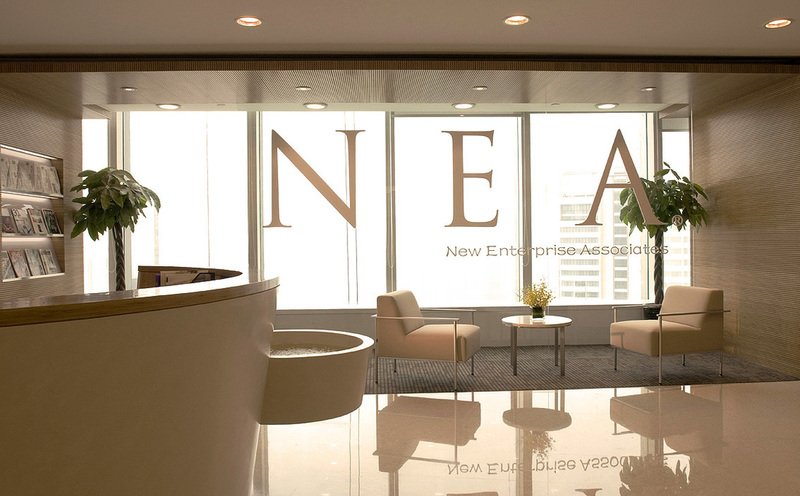 The client is a well respected and Internationally acclaimed interior design and architectural firm specialising in corporate design and construction. And as we all know my client’s client is also regarded and treated as if they were my own client also …. correct protocol. The brief was to capture the interiors that were designed and built by my client as if I was presenting it as a front page and or spread in an interior design magazine. I had one week. Ten projects. A challenging and full on time line. Every project needs at least one hero image, appealing and a signature shot. How does one measure the success of such a commission? Repeat business, an exhibition of all the images, a cash bonus, referrals to other clients, a long lunch? All of the above are the usual course of lovely options. I usually make my own decisions in relation to the edited photography l present to a commissioning client. An edited set of images are presented to the client because it covers the brief. As a professional photographer l am being commissioned as an artist to deliver visually appealing imagery within the constraints of the built environment. The creative design and execution of the photograph reflects the initial design from paper. It is based on time, intuition, observations, communication, interpretation, access and alchemy. Visual Discrimination. Images stamp time. Who and what are we seeing through our experienced and conditioned eyes? When art is created with the specific purpose of capturing an image … an ever changing landscape reveals itself. Once an image is captured it is transformed into a static image. The World turns revealing its ever changing landscape. Does the camera discriminate between black and white, colour and shape? Yes and no. It does through the eyes of the image maker and viewer and it doesn’t because the camera is an inanimate object. The artist does creatively discriminate when taking an image. It is part of the objective. Time has established that an image can change cultural conditioning. Change does happen and photographers adapt to the changing landscape by taking an opportune moment to expose a photograph. The next photo captured is unrelated to the previous photo as the new moment has no relation to any previous moment. This becomes our new conditioned moment. Images stamp time. What impact does an image have on the greater population and how has history responded when noting specific changes? History is marked through the creation of image making. What images have there been in history that form the basis for change? Architecture, political, poetry, religious icons, paintings, photos, formal art and installations, newspapers and death. Photography is a personal journey - time stamping (blogging) imagery. Artists have often presented themselves with this viewpoint. Commissioned projects are predominantly represented through the artists’ eyes. Art can be created by a child, a hobbyist or a professional. An innocent and in many times therapeutic endeavour for the artist and the viewer. Shaping up. Design is King. The alarm rings at 0445, sit quietly for a while, breakfast, then grab prepared camera gear and drive for an hour and a half to a location for a sunrise shot. The weather maps and bureau suggest clear skies. A cold still Spring morning appears. Perfect for morning landscape imagery. There are many moments of positioning a camera. The shape and design can take time to determine the visual sweet spot. Editing through the camera is my preferred method of capturing an image. The primary goal of any creative business is to have client focus while maintaining the creative specialisation required to perform successfully. The rest of the time after the successful appearance of the Sun is capturing a section of images to creatively explain the job brief. Pic: 'A Golden Dawn' Tianjin Marina. China. Observations are important - photography, the eye and the spirit of viewing an image before, during and after its capture is where the sweet spot of design and art merge into a finished piece of work. Capturing an image is done in the moment, whether or not it has been staged or candid. All the change from the past is unimportant when focussing on that single moment. If we look at it from the opposite perspective - where the view we are looking at is looking and wanting to be captured by us the photographer - then this is the most important single moment that vista has to be transformed into another dimension …. a photograph. 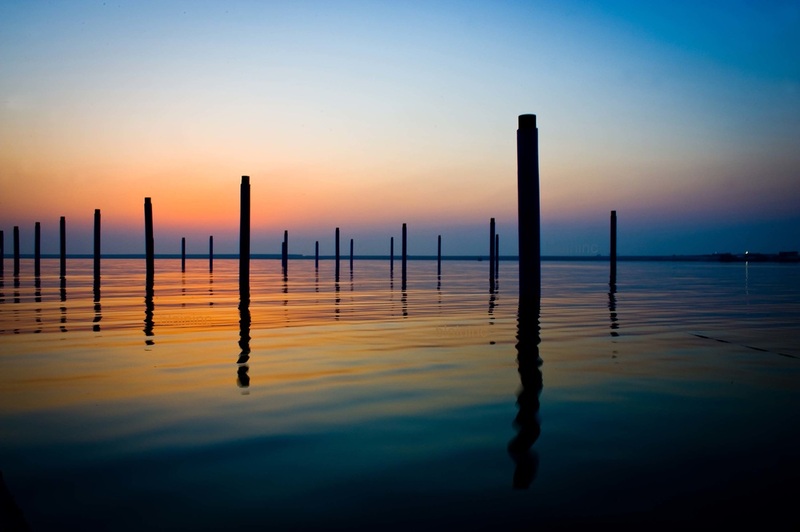 What comes first - the vista or the photograph? The vista helps create a new element of itself. Timing is of the essence. In art ... ‘Photography is for the eyes' as what ’music is for the ears’. Photography is a profession/sport/art/hobby/fun pursuit - which anyone can do with the right tools, observation techniques, location and subject. The difference between an amateur and a professional in the field of photography is the ability to see. Experience, observation and being open to the possibility that we may not have had all the answers - but will wait patiently for the sun to come out from behind a cloud and reveal its amazing light. Click, click. Be flexible, broad minded, non judgemental - but enough to accomplish the commission - or the moment will be missed. How does a photographer translate a brief into a creative set of images? Communication, interpretation, observation, creativity, sensitivity, intuition and time. Often l am asked to photograph a project with only an address and a contact on the ground. This could be anywhere in the world. Fly in, meet the client, English language not always required, local familiarisation of the area and the commissioned project. Observation of the project many times is necessary, taking in and soaking up the environment. The shape, feel, access, areas of beauty all with the single aim of looking to achieve a creative outcome within a set period of time. Usually two or three days minimum. Time is a very important factor for the photographer in allowing a structure to convey its form into an appealing looking photograph through the lens of a camera. The translation of capturing a photographic image in time and form is likened to alchemy. Observation of beauty plays a leading role. Once the form has been established, and a perspective found the process of translation of an image commences. Click, click. This step is done repeatedly until the whole project has been captured in a selection of images telling the story. Pic: Interior Boeing Office meeting room. A Portfolio is a section of an individual artist's professional/personal work that is relative to the clients requirements. A client likes to see that the photographer/artist has the "depth of portfolio” or experience required to confidently commission the artist. This is the creative worker’s Curriculum Vitae. To commission a photographer: view the portfolio, communicate, agree on the subject matter/creative approach. Once the commissioned project begins - allow the creative process to unfold. Photographic commissions are a combined collection of client and artist's observations, requirements and perceptions. 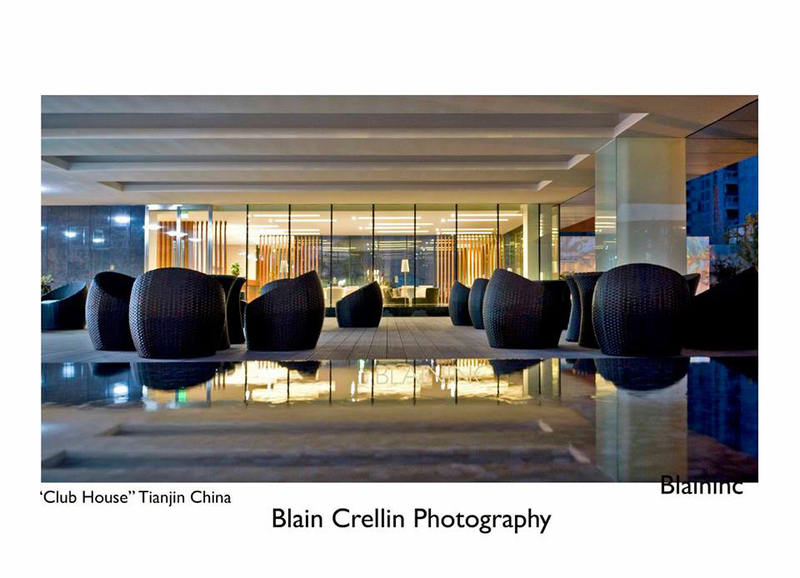 Blain Crellin is a professional photographer currently based in Melbourne, Australia. 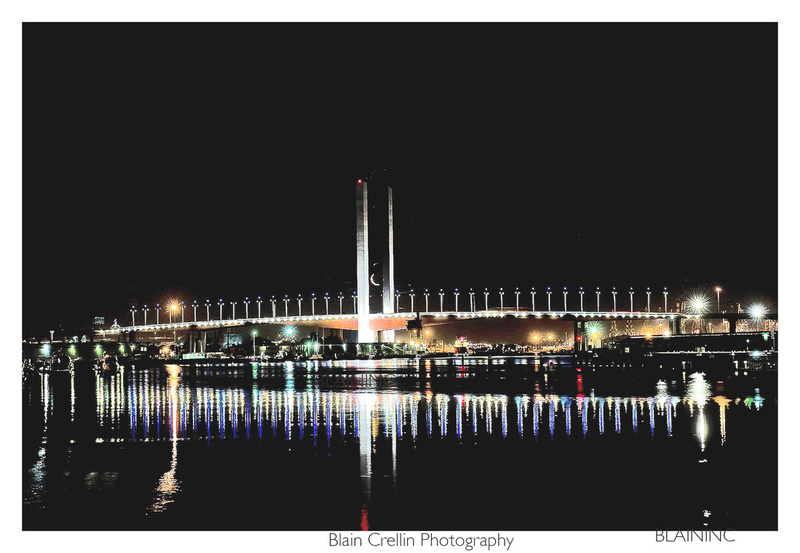 Photo: 'Bolte Bridge', Melbourne Australia. This is a digital image - combining "Upper and Lower Esplanades" and "Foot bridge with Traffic" Both these images have been photographed in the last month. They read from left to right. The text fits around the imagery. The road in the foreground flows. 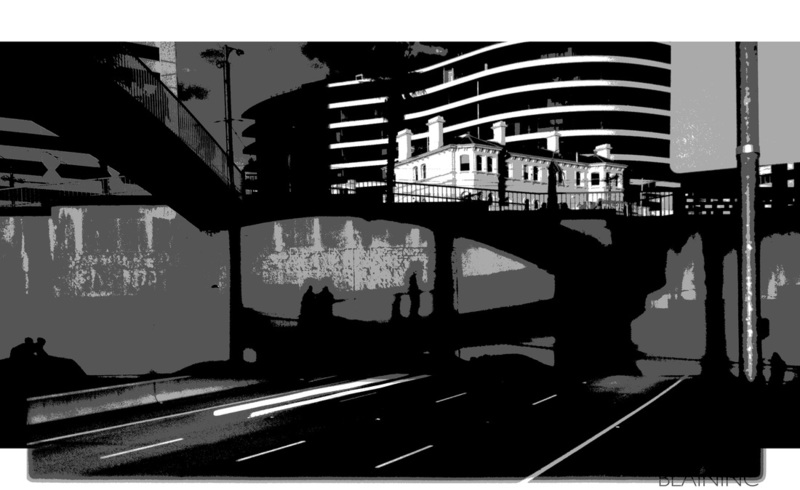 The overlay was a simple copy and paste.St.Kilda is a vibrant inner city bayside suburb of Melbourne. "An Architectural photographer is a Creative Project Manager". As an international location photographer, l have experienced many scenarios whilst creatively documenting the built environment. Communication with the client is initially the main focus. When a client and photographer jointly accept a commission, a relationship begins - usually with a phone number, plans, creative requirements and an address. ​To begin a commission (assuming the estimates have been accepted) one must travel, source accommodation, photograph ... and repeat 3 days in a row per project (minimum). Observing weather conditions is an art in itself. The conditions must be suitable for photography. Confirming with the client that construction and landscape is complete. Having access to the project prior to arrival is paramount to a smooth creative experience for the photographer. Projects in first, second or third tier cities in China require sufficient spoken Mandarin language. 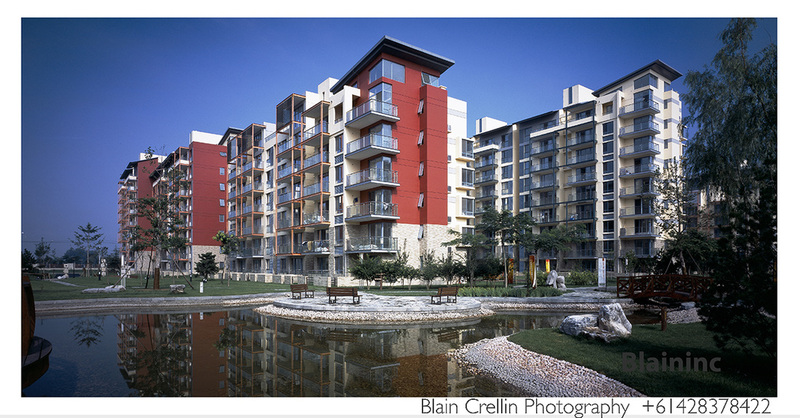 During the documentation of creatively capturing the built environment, the photographer communicates with CEO's, Marketing managers, architects, interior and landscape designers, civil and structural engineers, drivers and guards. 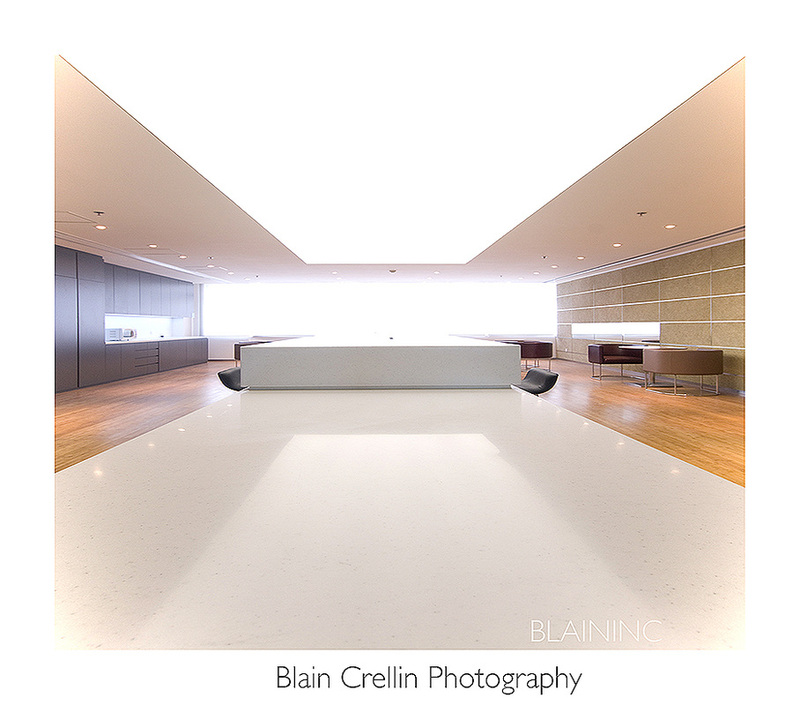 "A location architectural photographer is a project management driven professional, creatively documenting and capturing the built environment."